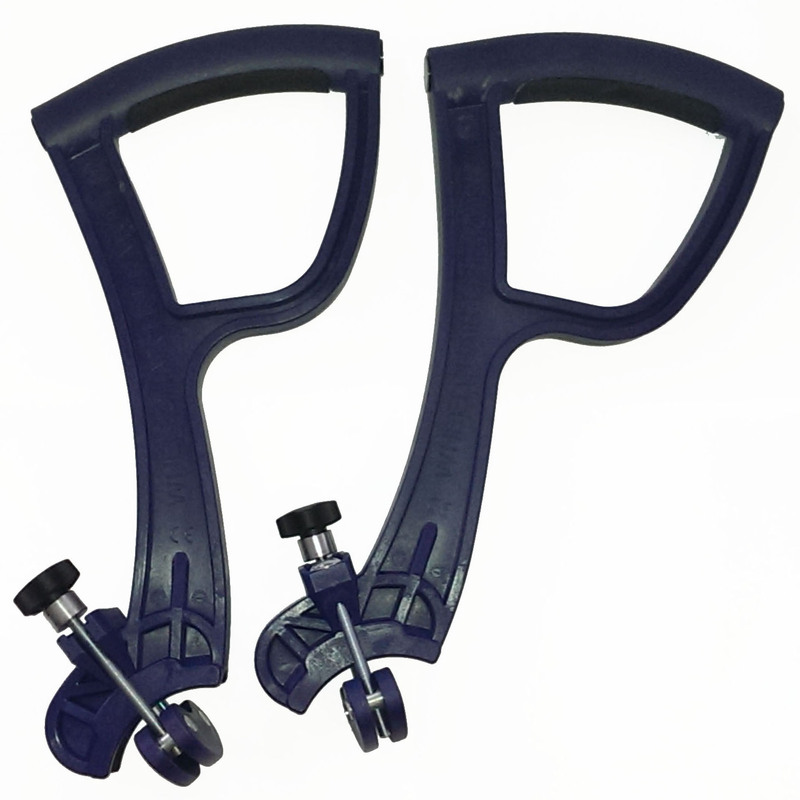 Wheelchair Liberator Push Handles - Get Around Easier. 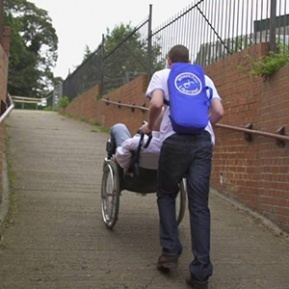 Wheelchair users and carers are well aware of the everyday challenges they face when they go out and about. They know all about the problems caused by kerbs, steps, cobbles, gravel and the other irritating barriers to them enjoying experiences others take for granted. On top of this even in ideal conditions be hard work for the carer leaving them tired and with an aching back. Comprising two ergonomically designed handles that quickly and easily attach to your wheelchair, the Wheelchair Liberator will make pushing a wheelchair much easier as well as open up a world of possibilities, allowing wheelchairs far greater access to a wide variety of terrain than ever before. And all this without the usual strain on the operator’s back, wrists or shoulders. 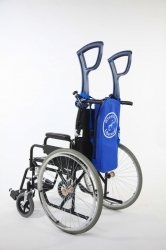 The Wheelchair Liberator was created with the assistance of the National Health and Safety Laboratory to ensure the best ergonomics possible when using the Wheelchair Liberator to manoeuvre wheelchairs over kerbs, steps, gravel and ramps and other everyday challenges. 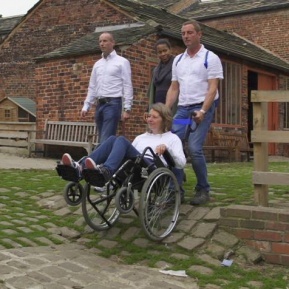 With the Wheelchair Liberator attached the wheelchair can now access places that were previously difficult, if not impossible to get to and easily overcome such as kerbs, steps, gravel, cobbles, hills, ramps and other rough terrain. 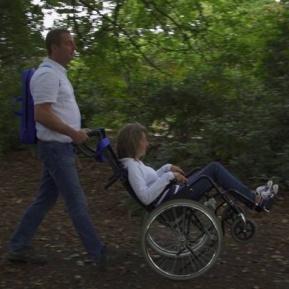 It also makes the job of the carer or pusher so much easier and safer and eliminates the everyday stresses and strains caused when pushing a wheelchair.